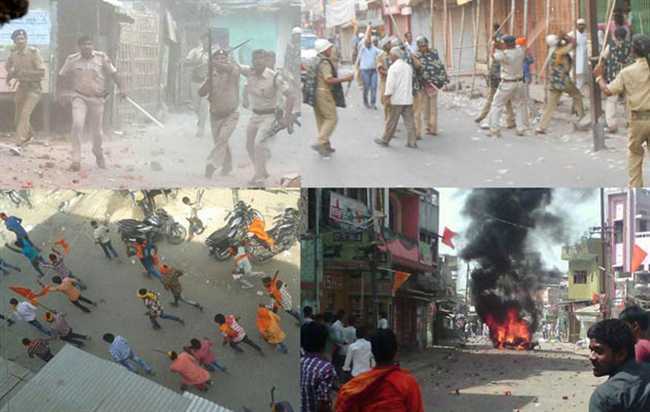 Minor incidents of violence also took place in Gaya and Kaimur because of the objectionable slogans during Rama Navami processions. Some bike borne youths raised provocative slogans in front of a mosque at Mughalpura under Chainpur police station on March 25 when they were going to attend a Ram Navami procession. This led to clashes between the two communities. “Two persons suffered minor injuries but the situation was immidiately brought under control with heavy deployment of security forces,” said Patna zonal IG, Nayyar Hasnain Khan. In Gaya, miscreants pelted stones on a Ram Navami procession under Kothi police station area while it was retreating on March 25. Stone pelting took place between two communities after which a huge number of police personnel were deployed.